Thanks for buying the intelligently beautiful Polar Loop Crystal! This user manual helps you get started with your new friend. To check the video tutorials and the latest version of this user manual, please go to support.polar.com/en/Loop_Crystal. Polar Loop Crystal keeps track of all your activity – every step and jump throughout the day - and shows how it's good for you. It'll reward you when you've done enough and help you move if there's still a bit missing from your daily activity goal. 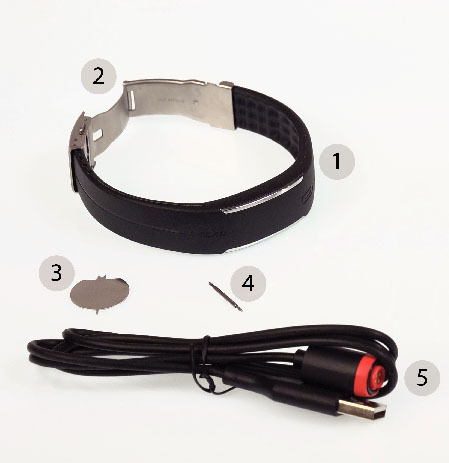 The product set includes a custom USB cable. Use it for charging the battery and syncing data between your Polar Loop Crystal and Flow web service via FlowSync software. View your activity and training data at a glance. 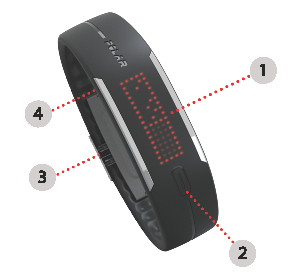 Flow app syncs your activity and training data wirelessly to the Polar Flow web service. Get it on the App StoreSM or Google playTM. Polar FlowSync syncs your data between your Polar Loop Crystal and the Polar Flow web service on your computer. 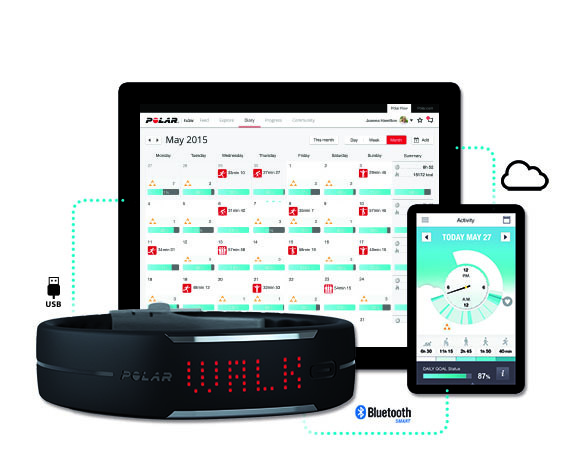 Go to flow.polar.com/start to start using your Polar Loop Crystal and to download and install the FlowSync software. Follow your achievements, get guidance and see detailed analyses of your activity and training results. Let all your friends know about your achievements. Find all this at flow.polar.com.